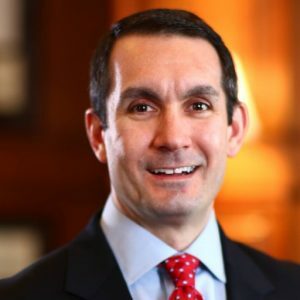 On Friday, Auditor General Eugene DePasquale said that officials in 18 counties reported accepting various gifts from different voting equipment vendors who are looking to sell new voting machines before the 2020 election. DePasquale announced in December he would be reviewing the topic of officials accepting gifts from these vendors after a report that Luzerne County officials accepted from a vendor before they selected them to provide voting equipment. Election officials in 18 counties reported accepting gifts from voting equipment vendors. Some of the examples of other gifts reported from the 18 counties included an expense-paid travel to Las Vegas, tickets to a wine festival and distillery tour, and amusement park. DePasquale cited Gov. Tom Wolf’s complete ban of gifts for employees of his administration and believes it is important whether the gifts are large or small. Last April, the Pennsylvania Department of States told counties they have until the end of 2019 to replace their voting machines with new voting systems that feature a paper record. At the press conference, DePasquale said that the estimates of the new voting systems could range from $125 to $150 million. “As Pennsylvania counties chose new voting equipment, I want them to make decisions based on the best interests of voters – and no other factors,” DePasquale said in a press release. Each county provided a response to DePasquale’s office here. My concern is that we don’t overly criticize those who did behave legally but yet did accept something. Sure, let there be transparency in government but also let their be fundamental fairness and if we change the rules and someone violates them then let the rebuking commence but only after the rules are changed. So, to be clear, no one violates any laws or ethics? Cool story, bro.